It has also been in the news that the number of asylum applications in Europe has increased sharply and there’s controversy of how this increase has been dealt with. Despite the high numbers and the wide media coverage of asylum seekers in or on their way to Europe, these numbers are still insignificant in comparison to refugees flocking to countries in the Middle-East and Africa. 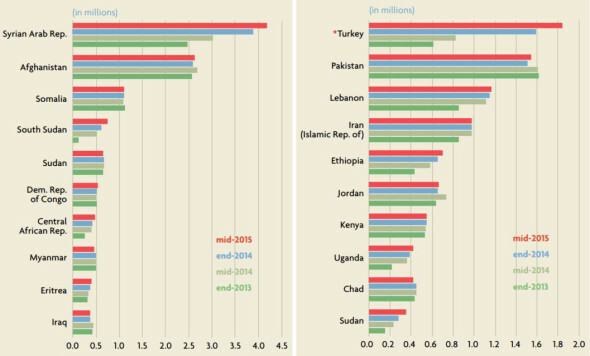 Below are statistics courtesy of the UNHCR depicting the increased numbers in refugee influx in the Middle-East and Africa. These preconceived notions on how refugee camps are usually portrayed in the media have to be understood and taken into account before being consciously and carefully separated from the intended spatial and urban analysis of refugee camps. In his book From Camp to City, architect Manuel Herz starts his text by emphasising the fact that in recent years refugee camps are gaining prominence in the fields of spatial studies and social sciences. 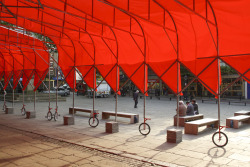 However, there is still little understanding and knowledge of such spaces in the disciplines of planning and spatial practices. (Herz 8) The nature of refugee camps as spaces of control and exception is comparable to other authoritarian spaces such as prisons, worker camps and gated communities. The differences between them remains unclear but the examples mentioned above have had their fair share of analysis from the eyes of urban designers and architects to the extent of having a prison design competition conducted by “Combo Competitions” in early 2016. Herz draws on definitions of “cities” from different thinkers such as the American sociologist Louis Wirth who defined life in a city as a “…life based on abundance and multiplicities of exchanges, meetings, and connections between people that do not rely on personal acquaintance and that end up allowing for social, economic, and cultural mobility.” He argues that refugee camps on the other hand are the antithesis of cities and are described as places of exclusion and complete control. They are places where people have no control over their own lives. (Herz 489) This however, is not a conclusive statement about camps and cities being unrelated. 1) The planning guidelines of the UNHCR are efficient and effective as immediate response to asylum seekers, but limited in grasping the larger connotation of the human condition, with its social, cultural, economic, and political dimension. 2) Having exactly the same starting conditions (geography, topography, ground condition, and climate), difference and specificity start to emerge.The development of difference and specificity gives birth to urban identity. 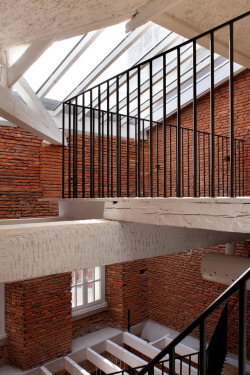 3) The discipline of architecture and planning is involved in a condition of tension and conflict and often in a contextual vacuum which can be described as “ground zero” of the profession. Planning camps usually starts off by organizing units in a rigid-military grid due to quick setup procedures and high degree of control. However, this approach will also depend greatly on the topography of the site chosen to be designed on. There are several planning strategies that camps fall into but they are all forced on the camp in its infancy stages and change overtime,, or adapt poorly to the evolution of the asylum seekers’ lifestyles. In the guideline book entitled Transitional Settlement: Displaced Population there are several suggested planning methods that depend on location, services provided and other technical issues. 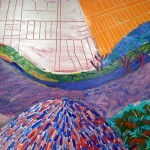 The default grid plan decreases cultural connection among occupants and is not environmentally effective; the straight lines of the grid plan often act as dirt funnels and increase erosion of local resources. In addition, this type of planning is not ideal to negotiate local context, especially when in most cases these contexts have harsh environments. Cluster planning, on the other hand, arranges infrastructural elements such as roads, electricity and water in a tree like arrangement spreading out from a unified core. The core will house the shared facilities such as offices and healthcare. 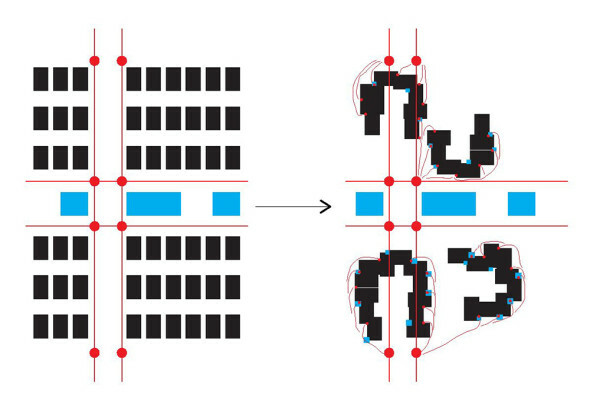 This type of planning avoids some of the adverse environmental effects that the grid arrangement has and gives its occupants more freedom and responsibility to adapt their neighbourhoods accordingly. It can also be integrated and adapted to topography easier than grid planning. The camp’s residents sell caravans that they do not need and in turn these caravans are converted to shops where buyers do trade and sell merchandise in the camp. 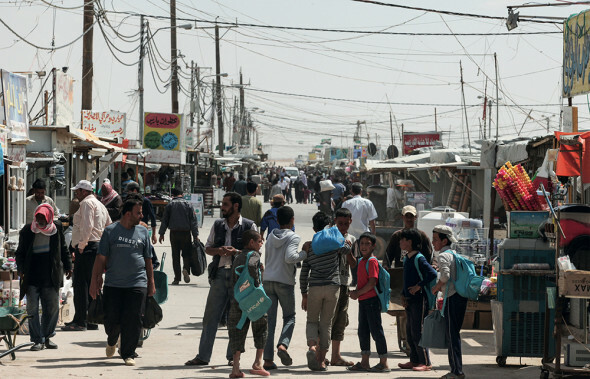 The “Champs-Élysées” is Al-Zaatari’s main shopping street and was formed organically by the residents. It houses anything from meat shops and bakeries to cell phones retailers. The goods are obtained both legally and illegally. Legally by using permissions to visit the neighbouring city of Mafraq to trade and buy merchandise, and illegally by paying off water-truck drivers and other servicemen to smuggle goods into the camp. As refugees settle into the camp, they convert many spaces into private open spaces, featuring fountains and courtyards paved with cement. The key type of open space is a football field. The initial grid-like arrangement rapidly changed into U-shaped compounds that erased the North-South connection while maintaining the West-East connection. This can be attributed to the fact that permanent structures such as water tanks, communal kitchens and bathrooms are all arranged along the West-East axis with a number of main North-South routes connecting them. Syrian refugees at the camp came predominately from Daraa, which is located south of Syria, where they follow tribal culture. This played a role to why Syrians decided to abandon the row-like structure of the camp and adopt a U-shaped-like compound structure. In Syria, they lived in courtyard compounds with extended families and they were accustomed to living communally and to sharing a courtyard with their relatives. 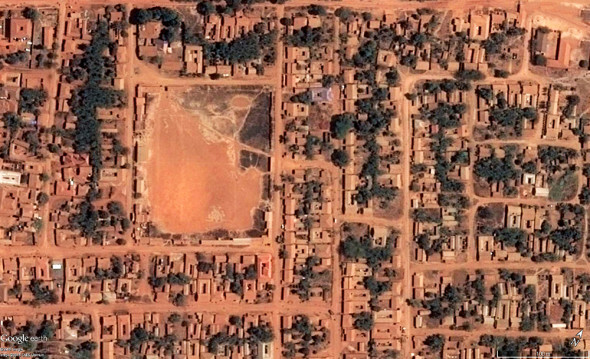 Moreover, the already mentioned, informal power structure of the camp replicates the tribal tradition of the refugees, which is also why they tend to settle in clusters of compounds that are under the jurisdiction of a certain street leader. As Daraa’s traditions forbid shared bathrooms between males and females, refugees all opted to “move” bathrooms and latrines to the vicinity of their tents or caravans. By doing so, they tried to orient the compounds parallel to shared kitchens and bathrooms. Illegal utility hook-ups to water and electricity supplies are the main reasons for the grid maintaining its West-East connection and losing its North-South connection. 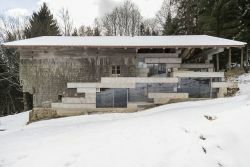 Not only the overall plan of the camp, but also the dwelling typology has progressively changed. Refugees started off with tents and then were given caravans. However, due to the limited size of the caravans and the high number of family members, camp residents started hybridizing caravans and tents to create dwellings larger in size and more accustomed to their living habits. Architect Eileen Gray’s work on luxury campsites and temporary structures addressed the issue of semipermanence of camps. Her work questions what happens when camping methods become fixed and how the camp’s spaces —open and closed, internal and external—are then affected. (Hailey 8) This also applies to refugee camps once they adopt a permanent urban form with temporary rules and regulations. If refugees have the chance and means to go back to their home countries, the camp can either be inhabited by the host community or disassembled and parts of it reused in setting up new camps. 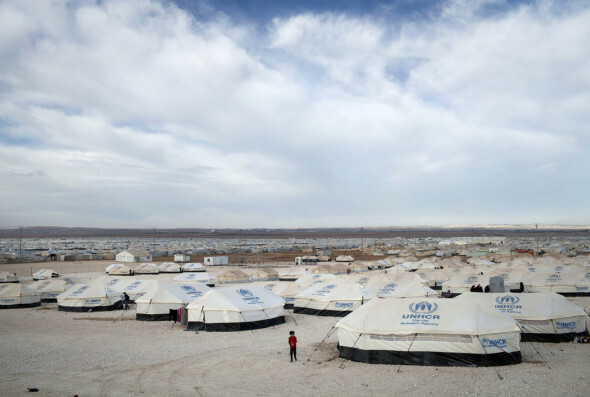 In many cases, camps have a good chance of surviving and becoming permanent cities. Energy and resources are spent on setting up camps, which calls for a designed and functioning urban condition that will survive well beyond its “temporary” lifecycle. 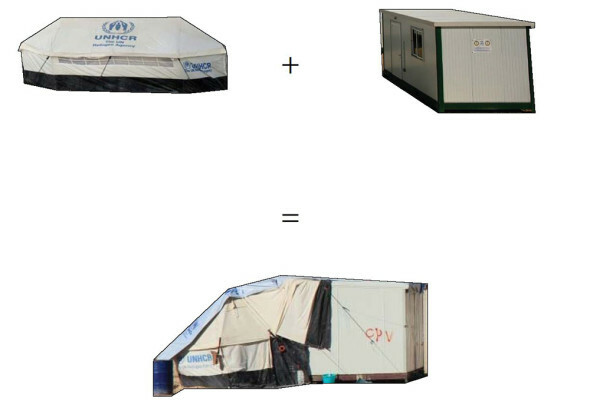 Refugee camps deserve to be treated as urban projects designed by urban designers and architects. The case study proves that the original design of these camps fails to address the complexities of a rapidly developing city and the nature of adaptation by the camp’s residents. A prospective design and strategy in both the urban and the architectural sense would prove more successful than the current quick-relief strategies adopted by the UNHCR. 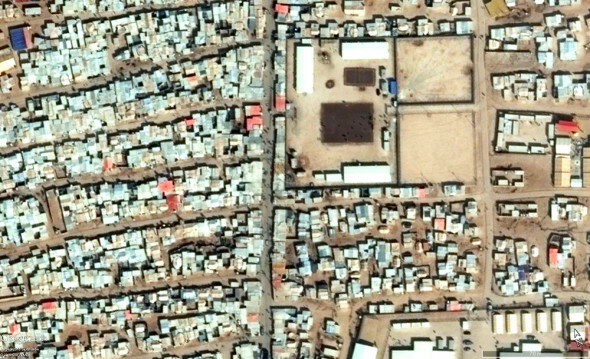 The agency for a consciously-strategized design of a refugee camp is present and demonstrated through numerous examples of camps that have survived for decades becoming slums and failed urban conditions. ACTED. Za’atari: At a Glance. “ACTED”, 2013. Corsellis, Tom, and Vitale, Antonella. Transitional Settlement: Displaced Populations. Oxford: Oxfam GB, 2005. Doucet, Lyse. 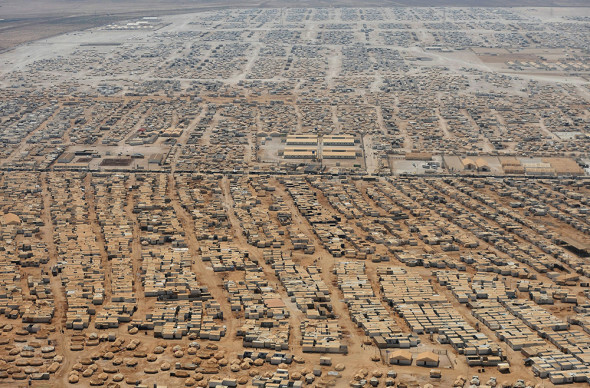 Life in Zaatari – Jordan’s Vast Camp for Syrian Refugees. “BBC”, 2013. Eakin, Hugh, and Roth, Alisa. Syria’s Refugees: The Catastrophe. “The New York Review of Books”, 2013. Hailey, Charlie. 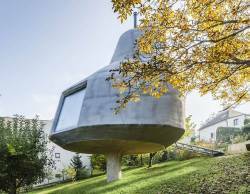 Camps: A Guide to 21st-century Space. Cambridge, MA: MIT, 2009. Herz, Manuel. From Camp to City: Refugee Camps of the Western Sahara. Zürich: Müller, 2013. Kleinschmidt, Klein. 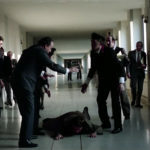 Interview with Conner Maher. “Interview by Conner Maher”. Laub, Karin, and Daraghmeh, Mohammed. 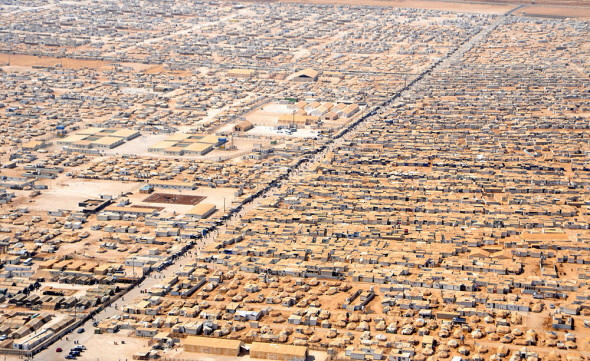 Zaatari, Syrian Refugee Camp in Jordan, Slowly Becomes a City. “Huffington Post”, 2013. Ledwith, Alison, and Smith, David. 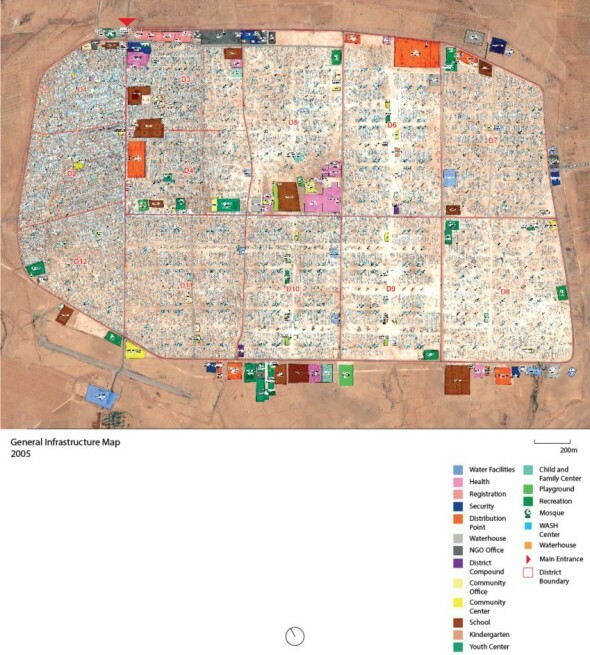 Zaatari: The Instant City. Boston. MA: Affordable Housing Institute, 2014. Maher, Conner. A Stake in the Ground. “ICON”, Mar. 2015. Mansell, Claudia Martinez , Camp Code. “Places Journal”, April 2016. Maqusi, Samar. 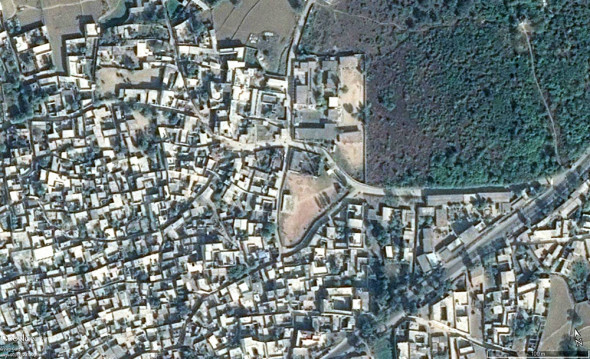 Spatial Violations: Beyond Relief inside the Palestine Refugee Camps. “SamarMaqusi”. Tran, Mark. 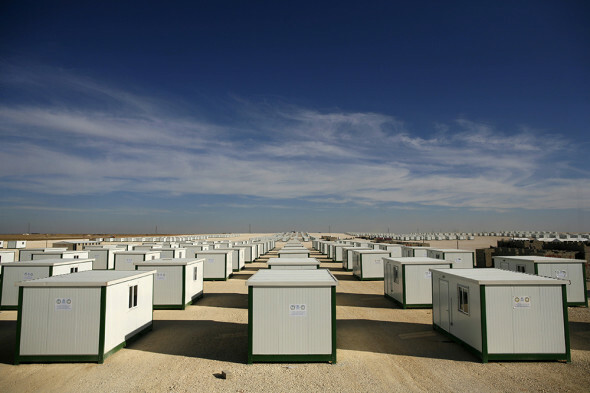 Jordan’s Zaatari Refugee Camp Mushrooms As Syrians Set Up Shop. “The Guardian”, 2013. UNHCR. 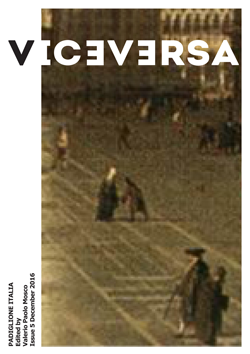 Mid-Year Trends, June 2015. “Mid-Year Trends”, 2015. UNHCR. Syria Regional Refugee Response. “Data UNHCR”. 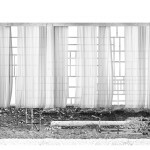 Aziz Bahou is a Master of Architecture candidate at the John H. Daniels Faculty of Architecture, Landscape, and Design at the University of Toronto. He is currently writing his thesis entitled Semipermanence: A case for a strategized design of refugee camps.